Below you will find the ski resorts that are closest to East Kilbride as well as the distance. 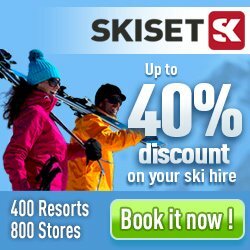 The closest ski resort to East Kilbride is Glencoe and the distance is 105 km. You can also view driving and route descriptions to each ski resort from East Kilbride. Note that the distance given is by air and the distance by road is longer. Would you like driving directions from East Kilbride to another ski resort than the 30 closest ski resorts below?